Want another way to participate in Meatless Mondays? Cupcakes Wars champion and accomplished vegan chef Chloe Coscarelli will be hosting a live video chat through uStream to celebrate the occasion on May 7. 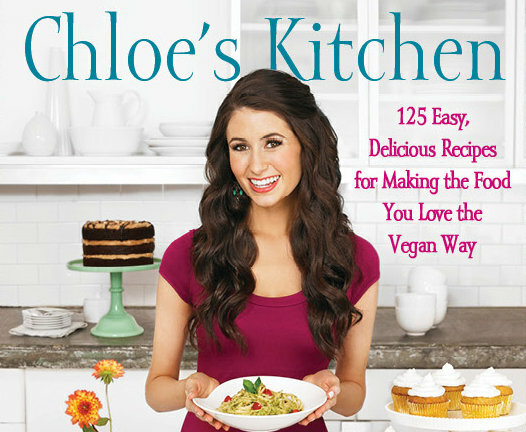 Besides introducing her delicious vegan cupcakes to viewers everywhere, Chef Chloe has also recently launched her first cookbook, Chloe's Kitchen, with over 125 tasty and easy to make recipes. To join Chef Chloe's live chat, just visit http://bit.ly/dvqzpT on May 7 at 11am PST. Tweet questions with #chatSS before and during the event!